Regular FPS readers know that I regularly enjoy a martini. 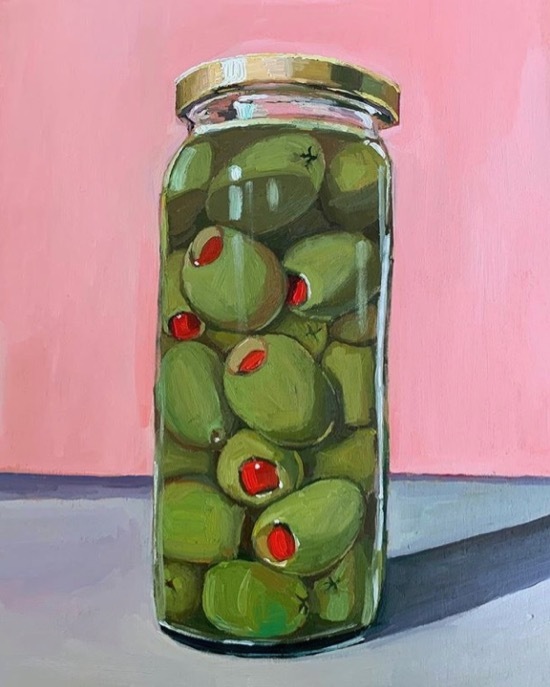 To streamline the process, I take a jar of olives, drain it of liquid, fill it back up with vermouth and keep the jar stored in the fridge. When I’m ready for a drink, I pull the frozen martini glass from the freezer, add a couple of vermouth-soaked olives and pour in the vodka (or gin, as you please). Cheers! Brilliant! If one likes dirty martinis would you recommend leaving some of the brine and adding vermouth? I’ve really been mulling this over. And I think you’d miss some of the saltiness of the brine if you dump it all out.